Many travel writers I meet want to start a blog. But how do you create a successful blog – one that earns income? Last year I attended a lively panel presentation about travel blogging by four apparently successful bloggers, at the International Travel Bourse in Singapore. I was surprised to learn that none of them had succeeded (yet) in monetizing their blogs. These bloggers had managed to score some free travel and product sponsorship. And they’d all been working hard on their blogs for several years. But they weren’t bringing in an income. Welcome to the wonderful world of travel blogging! The travel blogging field is clogged with dewy-eyed writers that think creating, growing, and monetizing a successful travel blog will be easy. And they think they’ll do it in a couple months. When "instant success" doesn’t materialize, they walk away disillusioned. The percentage of successful bloggers who reach the top tier of the “influencer” pyramid is miniscule. There are icons and superstars like Johnny Jet and Nomadic Matt. And there are less famous successful bloggers. On a press trip in 2015 I met a delightful 23-year old Australian travel blogger, Brooke Saward. Her name isn’t well known. But she travels the world, funded largely by her superstar blog (WorldofWanderlust). These successful bloggers and entrepreneurs have traffic that rivals high circulation print magazines. 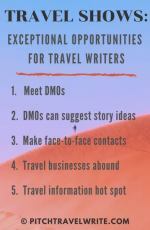 It isn’t surprising that they're much sought after by DMOs who want them to visit their destinations and write about them. But these high flyers are among the top 4% - the successful bloggers earning a reasonable level of income from their travel blogs. The remaining 96% of blog and website owners don’t earn much more than pocket change. 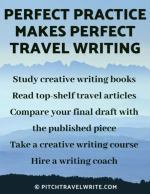 When we started PitchTravelWrite.com, I knew I wanted to teach aspiring travel writers about writing and how to get published. I had a lot of success getting published in print and I knew other people would be interested in hearing how they could do the same thing. 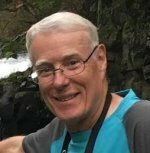 To earn income, I planned to write some eBooks, teach some online courses, and teach some live workshops. But first we had to build up some content and traffic, one quality page at a time. That’s where most of our focus was and still remains. Our PitchTravelWrite website became our marketing tool to find people interested in travel writing, to educate and inform them, and eventually to make money. We collected names and email addresses of travel writers from the beginning. When we had a small list of travel writers, we started a very modest newsletter, which we published once a month. That evolved to once a week, and then it just took off. I’ve never looked back. 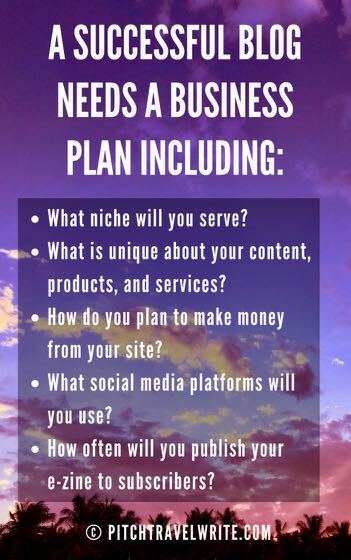 If you’re thinking of starting a blog or a website, you need a similar business plan. It doesn’t need to be a complex document like an MBA would write to get funding from a bank or investors. Your business plan can be simple, just 1 or 2 pages. What niche will you serve (who are your readers)? What is unique about your content, products, and services – what makes it different from other people who do similar things? What social media platforms will you use to interact with readers and find new ones? How often will you publish an e-zine to subscribers? Successful blog owners have a business plan and a well thought-out marketing system to find people with the same interests and connect with them. They usually have products or services that are unique and in-demand. And then they build it one step at a time, with patience and persistence. I’m sure you’ve run across blogs that have poor quality articles posted on their sites. We’ve all seen these kinds of blogs and clicked straight off their page to find something more interesting to read. Or what about a site that has random topics? One day they’re writing about adventure travel and the next day about politics. It’s confusing and you’re not likely to return. Have you ever found a site where the blogger hasn’t posted a new article for months (or even years)? You won’t hang around long when you find out the content is out of date. Inconsistent and random approaches result in poor traffic statistics. There’s nothing to lure people back to these sites. And with poor traffic, these bloggers will have difficulty earning income. You need to think about your target audience and write articles that interest them. You need to do it regularly to build up traffic to your site. At the very least, post one new article each week. If you have an e-zine, stick to a schedule. If once a week is too frequent then commit to once a month. Then deliver on your schedule so your readers know what to expect. I’ve run across some Facebook sites that play games with each others' blogs. You list your blog and the other followers are supposed to go to your site and leave a comment, a Like, read the post, or whatever. And then you’re supposed to do the same for their blogs. This is playing a numbers game. Yes, you’ll each get a temporary boost in traffic. But these people aren’t your real audience. They’re just people playing with the numbers. What you need are real people who find and return to your site because it has solid, quality content that interests them. Everything else is just smoke and mirrors, and it won’t help you in the long run. Don’t waste your time on these games. I know it’s a cliché but it’s also true – you need good, quality content to build a successful blog. Half the battle to getting good traffic to your website or blog is keeping readers coming back time after time. Good content informs, educates and entertains your readers. People are looking for specialized, actionable pages that interest them, excite them, and inspire them. Don’t be tempted to post mediocre content. Your readers will vote with their feet and won’t return. Good writing skills are necessary for good content. In recent years the travel blog arena has become saturated with thousands of cut-and-pasted listicles such as Top Ten Things To Do In (insert latest trendy destination here). I have nothing against lists, but please try and make them informative and educational while you’re at it. Give your readers enough meat to actually learn something about the destination and make sure your information is beyond what you'll find on Wikipedia. Then there are the bloggers who feel compelled to post travel experiences of self-discovery that come across as self-absorbed navel gazing by entitled trust fund kids. This is diary writing, not travel writing. Work on your travel writing skills and make your content entertaining, educational and informative for your readers. When you do, you’ll create a successful blog and your readers will keep coming back for more. When we launched PitchTravelWrite, I only had one eBook available for sale. Over the next few years I added 6 more, and currently have plans to publish at least another half dozen “how to” eBooks. The point is, as product offerings increased, so has our income. I wish I had more eBooks available when I first started my website, but it doesn’t usually happen that way. I’ve added coaching & mentoring services and workshops to my products since then. These off-line services are also thriving and contributing to my income. Make sure you have some solid products and services in mind when you start your blog or website. If you already have some products or services to offer, that’s even better. You’ll gravitate to products and services that suit you: e-books, coaching, live workshops, online courses, white papers, food guides, or consulting are a few you can consider. Add products as you develop your site and as your expertise and reputation improve. Not long ago, many bloggers were earning good incomes through ad revenue. But people gamed the system and search algorithms got smarter and changed. These days it’s much harder to earn a good income through ad revenue, unless you’ve already built a high traffic site. In my experience, passive streams of income like ads and affiliate links don’t perform as well as your own unique products & services. Use ads and affiliate links as an extra source of income if you wish, but don’t make them your only sources. I get a tremendous feeling of satisfaction when I wake up and Linda tells me that we sold four or five books overnight, or someone signed up for my Coaching or Master Class while we were sleeping. One of the smartest things you can do to become a successful blogger or web publisher is collect subscriber emails and publish a regular e-zine full of interesting, entertaining, informational content. The people who sign up are the ones who want to hear from you. This is your “interest list” of people who like what you write and trust you enough to give you their email. Publishing an e-zine or newsletter means more work for you. It requires setting up a schedule, sticking to it, and dreaming up & publishing information that will interest your readers. If your free content helps your readers, you’ll create real fans from those subscribers. And they’re more likely to purchase your products and services when you have something available to sell – because they know and trust you. Quitting your job to travel the world and blog about it seems like a good idea until you stop and wonder how you’ll pay your way. It takes time to build up a successful blog to the point where you’re making money. Give yourself 2-3 years to establish yourself. In the meantime, don’t quit your day job unless you’ve saved enough money to live off savings for a few years. When we lived in Chiang Mai, Thailand, the self-proclaimed epicenter of the Digital Nomad Universe, I constantly came across novice bloggers who had moved there hoping to learn how to start a successful blog. They thought they could produce income in a few short months. Unfortunately, they should have started their blog at least a couple years earlier. Overnight success doesn’t happen. We launched our online business more than four years before we moved Chiang Mai and this was a tremendous advantage. When I attended the stimulating digital nomad presentations, I was able to relate my own experiences to the advice the digital nomad masters who were “crushing it”. Often I was able to implement new ideas I learned from my peers and to instantly boost my traffic and income. And, I also knew which advice to ignore because it wouldn’t work for my business. Learn from experts when you’re getting started – and continue learning as you go. As a blogger you’re frequently going it alone. It’s important to link up with a community that can help you. Successful bloggers share tips, techniques and developments that can help take your site to the next level. And ignore advice if it doesn’t fit with your vision. Every site is different. What works for one person’s successful blog may not work for you. Whether you call yourself a travel writer, blogger, or web publisher, creating a successful blog and earning income online requires multiple strategies, or multiple streams of income. Starting a blog without a plan is not a recipe for success and probably never was, although in the early days some people got lucky. Building up a steady income requires persistence, a long-term approach, knowledge, and hard work. Building a blog and earning income is a business. It will take years to develop your site, build your traffic and build your catalog of products and services. If you consider this before you start your site, you’re most likely to create a successful blog you can be proud of and enjoy.